For those of you who haven't heard of the game, Soulless is an exploratory platformer that sees you playing the role of a betrayed King who has been transformed into a beast and trapped within an subterranean prison, your mission being to gather the soul-stones hidden throughout the underworld in order to regain your humanity. 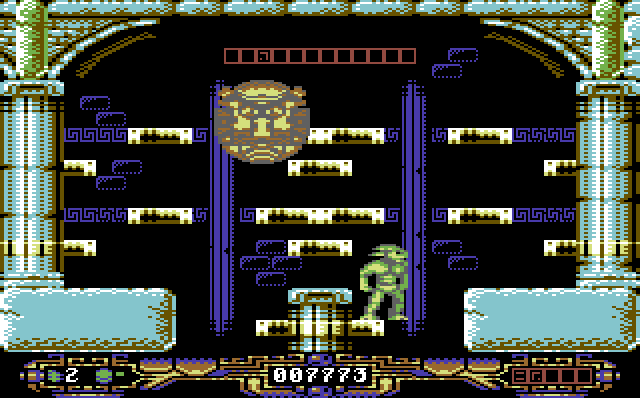 Once you have all twelve stones (by searching objects scattered about the rooms Impossible Mission style) you'll need to navigate to the temple at the top of the 70+ screen map and arrange them in the order shown via clues in various rooms around the underworld dungeons. 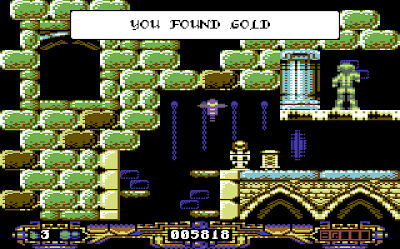 The locations and order of the stones is randomised at the start of each game so it cannot be beaten via a process of elimination over repeated plays - to complete Soulless you'll need to return to the lost art of *writing down notes* every time you play; which (as a fan of classics like Lords of Midnight back in the day) was an experience that I found to be both enjoyable and nostalgic. As detailed in the aforementioned Psytronik article, Soulless will be available as a digital download, cassette, disk and cartridge - and the physical versions of the game will come complete with what can only be described as an awesome bundle of extras. Each copy of the game includes a huge game map (with a Soulless poster on the other side) and a CD containing the game OST as audio tracks, digital copies of all formats, soul-stone sheets and an exclusive making-of interview - but the jewel in the crown has to be the CD-inlay mini-comicbook that Smila has illustrated to provide the background story (and instructions). 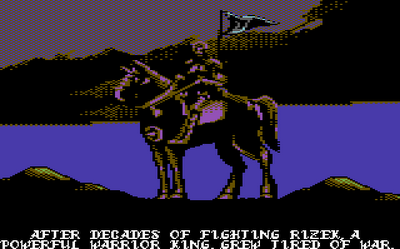 I haven't seen this much dedication to the presentation of a C64 game in years! However, don't be fooled into thinking that all of these extras are provided to distract from a weak game. On the contrary, Soulless is the best C64 platformer I've played since Knight 'n' Grail and is superior to the majority of original-generation games too. 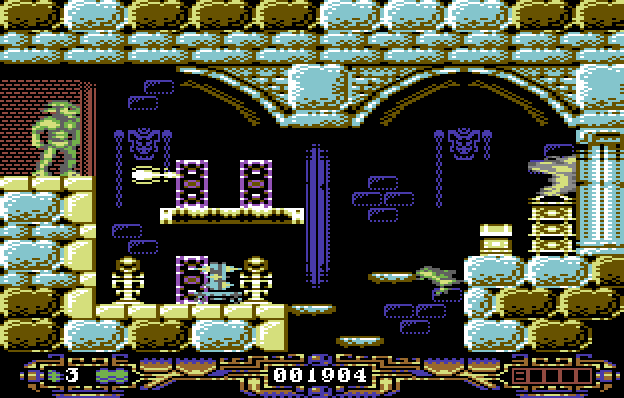 Graphically it is a masterpiece, looking a little like Antriad, but with a larger play window and far flashier details, the backgrounds giving a real sense of atmosphere and the moody soundtrack provided by Encore fits the game perfectly. 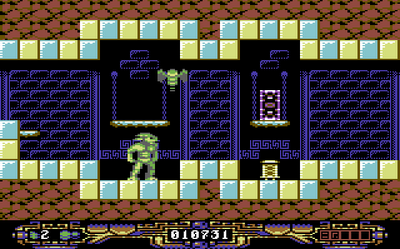 Gameplay-wise, the first few introductory screens (where you escape from your prison and enter the main game area) may give the false impression that it's a simple jump-and-avoid linear flick-screen romp, but as soon as you make it past the first guardian things really start to fall into place, with the first room providing you with a spawn/recharge point and multiple routes to take. Normally I'm not a fan of mixed graphics modes, but Smila and Endurion have come up with a design that looks amazing, with neither hires characters or wide-pixel graphics looking out of place. 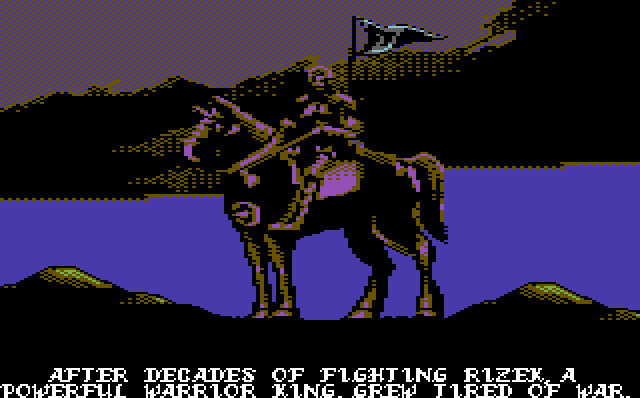 I'm particularly fond of the search 'progress-bar' that pops up - especially the fact that it remembers how far you have searched an object so you don't need to start over again if you are interrupted by a rampaging critter - even if you leave the screen! Although undeniably challenging (with time and dedication needed to win), the game is never unfair - we've playtested throughout development and have made changes and tweaks when anything niggled us in the slightest. Some people will doubtlessly complain about the fact that the Soulless beastie has a fixed jump (you cannot control his direction when in mid air), but quoting Smila, "this is the way the game was designed"; experiments have shown that changing the jumping physics adversely affects the gameplay and screen design. As well as the random nature of the soul-stones making Soulless very replayable (with time-taken and score being announced each time you complete it), the amazingly well-crafted intro - and suitably triumphant outro - make it a game that you'll want to boot up to impress visiting retrofans. Like the packaging, the level of attention to detail here is oustanding. The animated intro sets the scene, with cute little animated sprites acting out the Kings transformation and exile whilst the story is told via text displayed at the bottom of the screen and a brooding score plays in the background. For a game developed by a three man team in just a few months, there's a lot of content here. Ultimately, time will tell whether or not the game deserves the status of modern classic, but from where I'm sitting (in an admittedly biased position) I find it hard to imagine any reviews being unfavourable. It has been an honour to have been part of the testing team and I'm really excited about getting my hands on the final build. 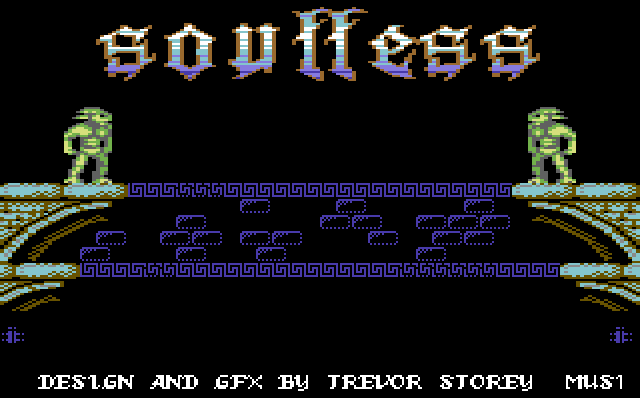 Soulless will be available to buy on C64 cartridge from RGCD, and disk, tape and digital download from Psytronik Software next month. Been waiting some time now for this one. Lets hope it is released in May!